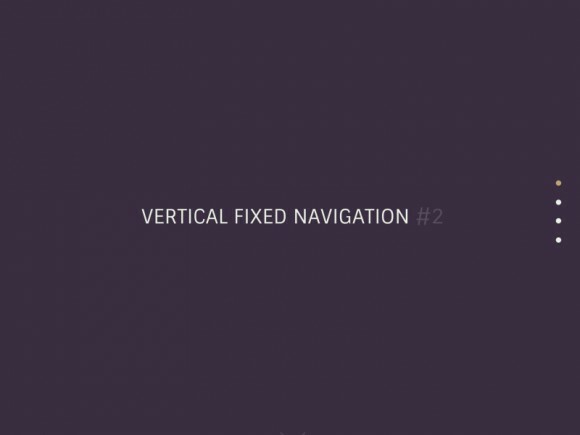 This precious tutorial by CodyHouse shows you how to create a one page layout with a vertical fixed navigation. When hovering the bullets, they scale up and transform themselves in round circles including an icon and a label. Posted on January 10, 2016 in Code stuff, Navigation menus and tagged navigation, menu. This post has been viewed 5890 times. 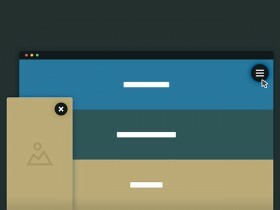 A pure CSS code snippet to easily create a stretching navigation menu including a detailed tutorial by CodyHouse. 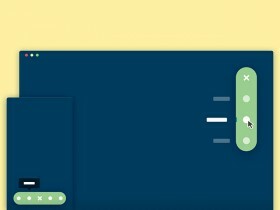 A tutorial by Codrops to create an animated hamburger menu icon with SVG using the Segment library by Luis Manuel. 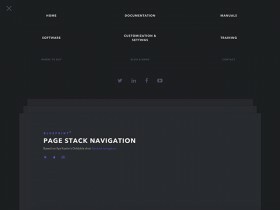 A page stack navigation template based on the Dribbble shot Stacked navigation by Ilya Kostin. 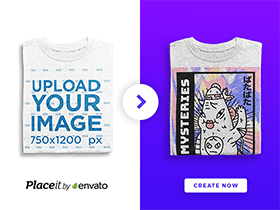 Tutorial and snippet by Codrops. A full-page cards navigation template inspired by Primer app. It is great for blogs and portfolios. A project by CodyHouse.